Bose recruited his first troops among Indian prisoners of war and Indian civilians living in Germany. At the end of 1941, they arrived in Frankenberg near Chemnitz where they were supposed to be trained by German army officers. The camp quickly proved unsuitable and the troops were relocated to the Königsbrück military training area. Frankenberg is still a base of the German army and, since the small town was not damaged in the war, offers attractive architecture from different centuries. During 1942, the troops were drilled in the picturesque small town of Königsbrück. Bose visited the soldiers to boost their morale and prepare them for their deployment at the Eastern Front from where they were supposed to reach and free India. However, with Germany on the retreat by the end of the year, the Free India Legion (Azad Hind) was stationed in the Netherlands and later in France only. Bose left Germany in early 1943 for Japan where he formed the Indian National Army. The Military History Museum, opened in late 2011, is “just” the principal museum of Germany’s army and one of the largest historical museums in Germany. 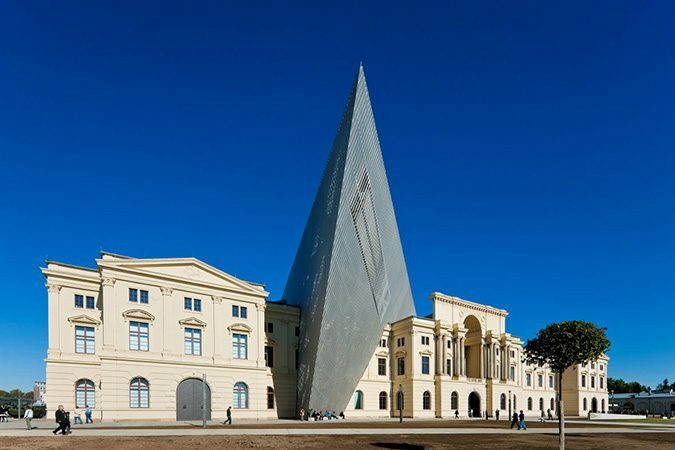 But even visually, the military tradition has been broken by the famous American architect Daniel Libeskind. A dramatic wedge has worked its way through the old arsenal building in the Albertstadt military district of Dresden, The exhibition concept is also unique, foregoing military glory and instead looking at the impact of war on human beings. Other important sights of military history in Saxony are the Monument of the Battle of Nations in Leipzig, Europe’s largest monument, Europe’s highest fortress, the never conquered Königstein, and Colditz Castle, Germany’s most famous POW camp with the Escape Museum.